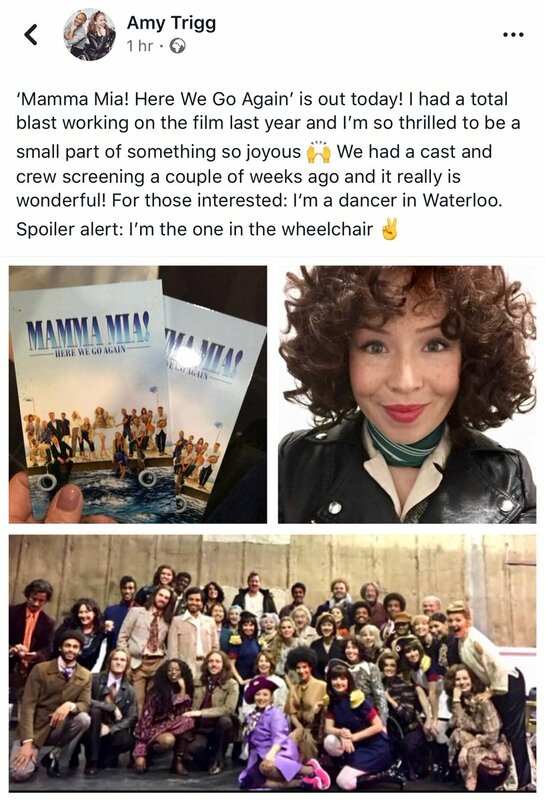 Congratulations to Amy Trigg who can be spotted in the new Mamma Mia film that opens this summer across the UK. Whether it's an article, video, or an idea for a guest post, we want to hear from you. © 2019 Ramps on the Moon. All Rights Reserved.